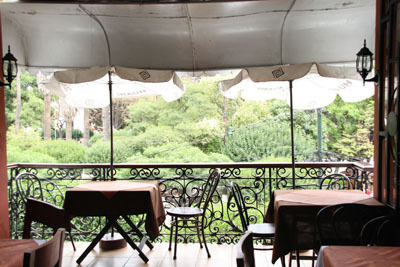 The restaurant Los Balcones offers a lovely view over the Plaza 25 de Mayo. 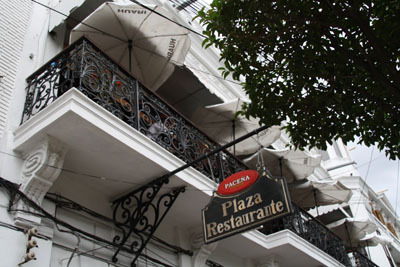 You can sit on one of the balconies and watch the hustle and bustle on the plaza or take a seat inside the bright, high-ceilinged restaurant. 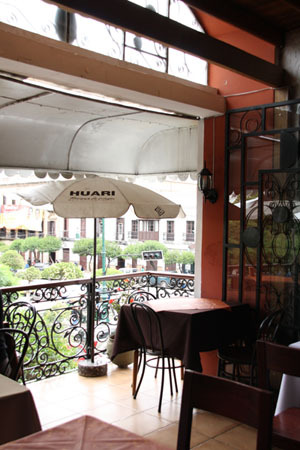 The restaurant is very popular with locals during lunch time when they serve all dishes with salad from the salad bar. 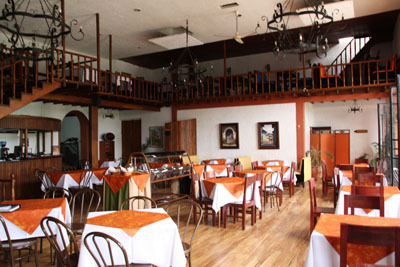 They are well known for their steaks from the barbecue grill and typical food from Bolivia as well as salads, pasta and fish.